Lilly, cosmos and hibiscus from our bageecha. I sent Mama to church this Sunday and stayed with Aunt Sybil. She is better. I gave her a bath which she does not like at all.She hates bathing. In the evening I turned on God TV to get some inspiration.There was message from Brother Andrew which was very good. Then Dr Mike Murdoch came on and sang a song about the Holy Spirit which had a line saying "You are easy to love". I took objection to that , you can 't sing about the Spirit of God as if He is your sweet girlfriend or pet.All through the Bible the Holy Spirit has been shown as powerful, holy, fire of God performing earth shattering feats and you just can 't sing a song about Him saying"You are easy to love". At least in my estimate. Not by power, not by might, but by my Spirit says the Lord.What do you think friends? Would you sing along with Dr.M? I 'd rather sing along with the Psalmist the Psalm 139.Where can I go from your Spirit O Lord? 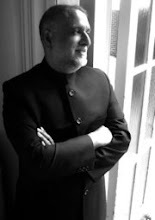 Please pray for Pastor Shailendra he is writing his Masters of Theology exams on April 3rd and 4th. Prem 's mom is stable.Although the damage to her lungs is irreparable. 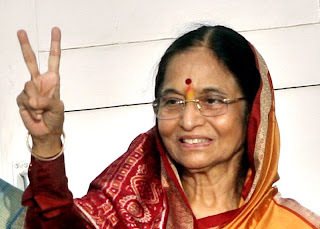 She is suffering from Chronic Obstructive Pulmonary Disease or Type Two Respiratory Failure.The doctors are not sending her home.Remember the Jeyapauls in prayer. I like this song by SonicFlood. It is a worship song with glimpses of common everyday life in India.You can see multi-religious India in the video. I went to the district court yesterday.Our case was munber 107. Waited for a very long time. Close to the lunch break our lawyer asked Pastor S and me to go home as he would do the needful when our turn came. I exhorted the lawyer to speed up things.He said it depends on the plaintiff. "Your father fought this case for so long (20 years),"he said,"And now you are in a hurry'. I said,"Sir , its true my Dad fought this case for 20 years and in the end he went to heaven. I have taken over since the past 5 years,do you think this case will end when I am at the top of my Jacob 's ladder ?" In India one has to have an unending aupply of patience. The rickshaw driver was in a "hurry" on the busy highway we had to traverse. I told him;Please slow slow. I am worried for your life. He said,"Don 't worry sister I am worried for both our lives". My BIL Prem reached Chennai safely. They have moved Mrs Jeyapaul to another hospital and today will have consultations with the doctors. On Monday Sybil Aunty had a blackout for a few seconds.She had her first one 5 years ago ,then last July and now.Its an incurable heart condition.She is on medication to regulate her heart rate and high blood pressure. I was not in the house when this happened but Mom got help from the neighbours.Sybil Aunty is fading away gradually.Eats a lot less and keeps laying down most of the time. Her dementia is also increasing. Two other aunts of mine are heart patients and get sick from time to time. On Monday night I get a call from my BIL Prem from New Brunswick, Canada saying his mother is critically ill with type 2 respiratory failure.She is in intensive care in a hospital in Chennai (South India). She cannot breathe without the respirator. Prem is on his way to India. He will be arriving early Friday morning a few hours from now.Mrs Jeyapaul (his mother) is not responding to treatment. They cannot wean her off the respirator She is a woman of strong faith she has asked for the family to gather around to say goodbye and switch off the machines so that she can rest in the Lord. They are refraining from that.When Prem arrives we shall get more information.His brother and sister are at their mother 's side.Please pray for Mrs Jeyapaul and her husband and family.They are all believers. With all this happening around us our peace of mind has been disturbed. 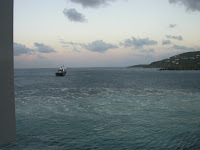 In his devotional Bread For the Journey, he says;"When we watch a sailboat leaving port and moving towards the horizon it becomes smaller and smaller until we can no longer see it.But we must trust that someone is standing on a far away shore seeing the same sailboat become larger and larger until it reaches a new harbour". 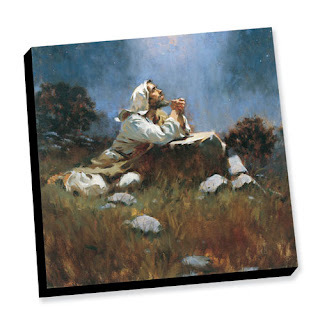 When we see our elders approach the dusk of life they seem to be getting smaller and smaller on earth 's shore but in heaven 's harbour they are getting larger and larger and Jesus is there to welcome them.What a comfort. 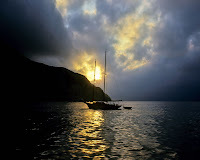 And I keep the pictures of the sailboats in front of my mind. Our electricity supply is very erratic with the summer approaching very fast. Yesterday we hardly had any power supply. And no Cable TV since a week. 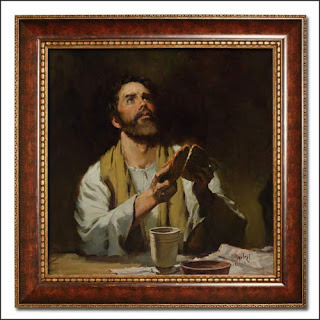 Well, this might read like a gloomy post but we cannot escape from the realities of life and affirm that when we are passing through muddy waters Christ is there to hold us up. Tomorrow I will be representing my church at the court hearing please pray for that. The victory is ours God 's enemy cannot take His land away from Him. Proclaim this with us. I want to visit Aunty Prem and some cousins this evening. The hot weather drains my energy faster. Here is a frangipani flower from our front yard and on the right you can see our Chinese orange tree laden with fruit.These nano oranges are quite sour but you can make marmalade and sweet preserves with them. If you eat them with the skin they dont taste sour. I have posted a video of Elizabeth Parcells singing I know that my Redeemer Liveth. Like Job I can say; I know that My Redeemer Liveth and He shall take His stand upon the earth. Even though the worm destroys the body. I know I shall see my God. Because He lives all fear is gone.The sting of death is gone. Had a great service in the evening. After which we had hot cross buns with tea and snacks. Yesterday I made tomato and cheese quiche.I just love it and made it after ages. Today I made lamb curry and rice idlis. Today is the day of salvation - the day Christ died for us on the cross.The message of the cross is foolishness to the world but to us who believe it is the epicenter of our faith. 2. In the cross we see God 's hatred for sin. Ezekiel 18;20 says"The soul that sins shall die".The only way to atone for our sin is to bear the fury of God...Jesus suffered the wrath of God in our place. He took the punishment we deserved. God so loved the world that He sent His only begotten son so that we might not perish but have everlasting life. Our judge became the convicted man and bore our death penalty. 4. In the cross we see the way to victory.Jesus paid for my sin on the cross so that I could be free from the wages of sin. These were some of the points from my message on the seventh saying of Christ from the cross which I preached in the Good Friday service.The service lasted for more than 3 hours. There were special songs too.In most churches people have a 12 to 3 afternoon service on Good Friday. I don 't know about the Catholics.Many people keep a 40 day Lent fast or a Good Friday fast.And people break the fast with hot cross buns. We had bun omelet for dinner.Actually a plain omelet burger. We hardly had electricity the whole day. There was the usual 3 hour power cut and after that no electricity till about 8pm as some power lines were down. We had lights for short periods.Its 9.30 and the situation seems stable. But no cable. The cable guy said it will be restored by tomorrow evening. My mother looked very blue without her usual entertainment. So I donned Mr Spock 's space suit and created a force field comprising of a piece of crayon, a bamboo wall hanging and a brass vase and you won 't believe we stared receiving the national channel without the hook-up.I should have been an engineer LOL. Maybe there is still a chance for me at the MIT! And you should have seen my Mum 's face light up with a 100 watt smile when we got the tube on. Well, necessity is the mother of bamboo engineering. On the left is a photo of the Anglican cathedral, which my niece took. And the other photo is of our church . I just got an email from a friend . He got a message saying the the RSS which is a right wing Hindu fundamentalist group plans to burn churches during Easter service, in Orissa - the state in which missionary Graham Stains and his two liitle boys were burnt alive in their jeep.Please pray for protection.In the past few months Orissa has seen a lot of violence against Christians. Jesus celebrates the Passover and institutes the Lord 's Supper.In agony He prays in the Garden of Gethsemane where He is betrayed. This morning when I was busy in the kitchen there was a commotion in the garden. A group of 20 or more teenage boys entered our campus with the intent to vandalize our property and garden.The Hindu festival of color called Holi (Check here for more info) falls this weekend. It symbolizes victory of good over evil and can be celebrated in a congenial spirit but people take advantage of the occasion and come out with their worst behaviour.There is drunken revelry out on the streets and a whole lot more I cannot describe. The city comes to a standstill for two days from early morning till late afternoon. So these boys entered our premises with their celebration as an excuse. Mother was very agitated and tried to shoo them away, they wouldn 't listen.She called me outside but I did not go as I did not have the strength to do battle with that gang.I simply do not have the ability to drive away a group of marauding teenagers. 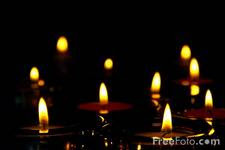 Anyway they went away.Mom was very upset and angry.I said since we don 't have the strength to combat these vandals the next time they come we will ask the Lord to send His angels to protect us from them.My poor Mom said ;"Yes, this time He used me as His angel". I agreed to that.Praise God they didn 't come again. In the afternoon I went to see Aunt Premlata and took her a month 's supply of iron capsules to increase her haemoglobin count. Also visited my cousins and aunt from the UK. Had a lovely time with them.My cousins have written and produced a film about the British Raj. Parts of it have been shot on our campus.I will do a post about it. 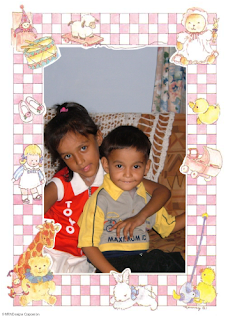 Here is a photo of Shaloo"s kids, Simran and Babu. This was taken nearly 2 years ago.They are sweet children but not receiving proper parental care.If they were living in the West they would have been put under foster care. In the evening was our Maundy Thursday Communion Service. I sent Mom and stayed with Aunt Sybil.She is better. I made dinner and bran bread. 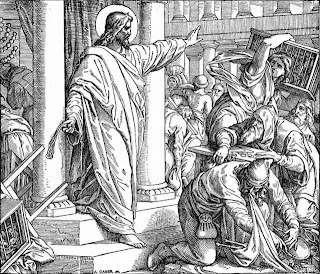 Jesus tells about man 's need to prepare for the coming judgment day (Matthew 25;1-13, 34-40. 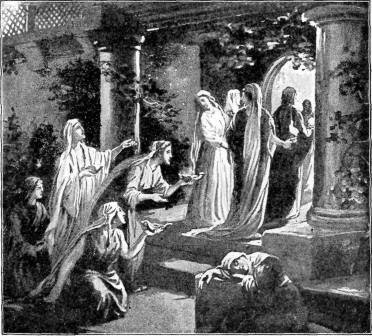 The Parable of the ten virgins quickens the heart towards preparation.The five virgins had oil in their lamps to welcome the bridegroom and were received into the house of the wedding but the foolish five had no oil to light their lamps and could not procure any as it was too late.They were locked out. The oil is symbolic of the Holy Spirit.We have to have the Holy Spirit working in our lives in order to be prepared to be received in Bridegroom Jesus ' kingdom .Get the oil now before its too late. Every month we get our government assigned kerosene oil from the corner grocery shop. We send our helper to enquire the exact date and time the grocer will be dispensing the oil to his customers.If we are late or careless the oil is over and we have to come home with an empty jerry can.Now is the time to prepare for life eternal. fed the hungry, gave water to the thirsty,welcomed strangers,clothed the naked, visited the sick and those in prison. It is very easy to only have a spiritual ministry, but trying to meet the physical needs of people around me makes me twitch. Ours is a holistic Gospel both for the body and soul.Jesus set us an example by not only preaching about spiritual matters but also meeting the physical needs of people. Healing the sick and feeding the five thousand are examples. It is said that on this day Judas plotted with the leaders of the people to betray Jesus.Matthew 26;3-5, 14-16. This morning Aunt Sybil had a fall. At first she seemed OK. But by the evening her left wrist was swollen and hurt. I applied balm and gave her a pain killer.Mother is very nervous and is afraid of being alone in the house with her. But I have to go out from time to time.I went out to get groceries and medication and later on to our Lent Fellowship meeting at the Edwards. Mother was gloomy. I rang her just as the meeting got over and she was OK. Please pray for us. Difficult situation for the elderly and I feel overwhelmed too. A song entitled "Lay your Burdens Down" is ringing in my ears.I have it on tape somewhere. Maybe its on Youtube.At times I feel crushed but because of Jesus I am not defeated. 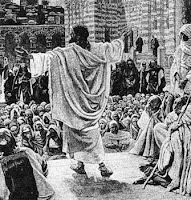 Jesus is questioned about the payment of taxes as He teaches in the Temple.He repeats the two-fold nature of God 's law - love to God and love to our neighbour. 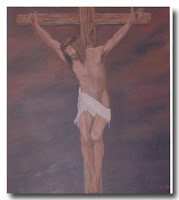 (Matthew 22; 15-22) Give to God what belongs to Him and to Caesar what belongs to him. But today giving unto "Caesar" what belongs to him is making me very depressed and disturbed. 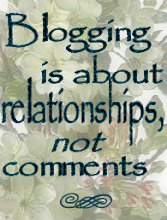 Since I started blogging and my blogging friends increased , my telephone bill has jumped up a lot. The internet is costing me $10 to 15 a month which is way above what I can afford. Due to my disabilities I cannot work outside and our church project is taking too long to start. The blogworld has given me so much I hate to stay away from it. If it was possible I would turn into a beggar to stay online. See how depressed I am to see the bill. I don 't know what to do.I just feeling very very down. There is a Holy Week meeting in my home tonight, have to get ready for that. Made these donuts for that...to serve with tea. Had a good fellowship meeting this evening . we were more than 10 folks. A couple came with their little kids. Monty a feisty and very active two and half year old and his sister Rinkle who is eight and a half.Both these are pet names. But fancy having Rinkle as a pet name. I told the parents I hope you don 't spell it with a W otherwise when she grows up they 'll have her modelling for anti wrinkle cream. They smiled. I think they didn 't think about the English meaning of Rinkle. She is such a sweet girl. Tomorrow the fellowship meets at the Edwards, before that I shall go to see Aunt Premlata. Shaloo took her home against the doctor 's orders. God will make a way when there is no other way.That 's what I am praying regarding my Internet bill. I am reading John MacArthur 's book "The Murder of Jesus" Its very good. I need the Lord to clean my heart too.Worldly things and the flesh enter which render me spiritually ineffective at times. Let me show you these pretty nasturtiums from our garden. Now I am going to make fried donuts for tomorrow prayer meeting in our house. And after that I am going to the Pastor 's house for a house prayer meeting. The boys had decorated the church with palm branches.We celebrated the first day of the Holy week. In the evening I went to see Aunt Premlata. She is stable. Shaloo and Bubty came after a while.Since she is too weak and anemic to be operated upon they cannot insert a rod into her, I was made to understand they will strap a rod (frame ) onto her. Not heard of this. Took vegetables and a nightie for her.Yesterday we gave away 4 bags of veggies - bottle gourd, tomatoes, cabbages. I got good rickshaw drivers this time they were careful. Mama has been indisposed since a couple of days - acidity. She is not eating much, since Aunt S does not eat a lot I am also not into cooking. 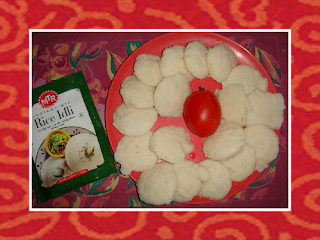 For Sunday lunch I made Rice Idlis (shown below) - savoury rice cakes steamed. They came from a packet mix, otherwise I make them from the scratch. Mama likes them too. for dinner I made fresh potato chips for myself. My heart is bruised tonight. Aunty Maya went to see Aunty Premlata in hospital with another caring Christian lady Aunty Noreen. Aunty M is close to Aunt P 's age, late 60s and has several ailments but she really had to see her.They have grown up together. Aunty Maya called me up and told me Aunty P cried when she saw her.She was in a pathetic condition. Aunty Maya gave her 2 house dresses and a box of health drink powder. The other lady took a bottle of Horlicks.They stayed with her for over 2 hours. Aunty Maya knew some nurses there and spoke to them about Aunt P.Her daughter is not feeding her properly so she asked the nurses to put her on the hospital food list. Nurse Joseph has arranged for her to get free medicines. I get emotionally disturbed when I see the suffering of people.It also makes me angry. I feel helpless...dejected.I lost patience when Sybil Aunty fussed over dinner.I was sad when I saw a mother treating her 8 year old daughter too harshly over a childish error - children 's hearts are tender they should be treated with care. I say to my Mom sometimes ; if this is not the great tribulation period then what is it? I know my theology is topsy turvey here. 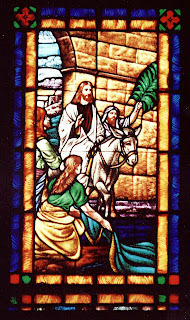 Tomorrow is Palm Sunday. 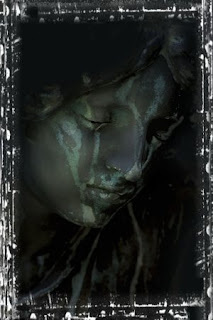 Jesus wept over the hard heart of Jerusalem.I cannot wave my palm branch and not cry. Please pray for Premlata and for the salvation of Shaloo and Bunty. My dear friend Jackie gave me this award which her innovative and creative daughter Fixer created. Gracias Amigo! This morning my Bible passage for devotion was about grace. I am weak but Thou art strong . I love that song too. I wanted to show you our grapefruit blossoms. Aren 't they lovely. The tree is laden with them and they are falling on the ground and smell so good. I got this article by Lisa Bevere of Messengers International. I sometimes watch them on God TV.Thought it was really good so I am sharing it with you. Now I am going for a Friday evening prayer meeting . Were you ever cared for?...Watched for?... Loved?... Did you belong?... Was there one who was bigger and wiser who would know and understand what you needed? Who instructed you and, when the time was right, taught you to fly? These are the very questions that drive our human quest for connection. In an atmosphere of nurture, the answers are revealed. The truth is there has never been a more desperate need for the presence of nurture. The problems are so big, the needs so vast, so that our response must also be intimate and enormous. Big government with big guns will not answer the human cry for safety and connection. 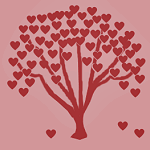 We are heartsick and in need of intimate, safe connections so we can heal and help others. 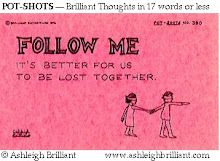 It is the purpose of my book, Nurture, to help position you to make those heart and relationship connections.Where is your connection? Who are your friends? From whom are you gathering wisdom? These are connections we need to actively search out and begin to develop. If you have never experienced this, it is time you did. If you experienced a violation of safety or trust where you should have had nurture, it is still imperative that these intimate connections happen. We must be surrounded by nurture if we are to thrive. I believe it is our time. There is a stirring, a gathering, and an awakening happening around the world. Nurture is an answer to our need for connection. 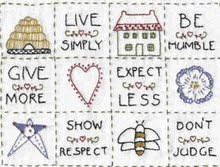 Nurture Defined & Applied 1. Tender Care…an approach when handling sensitive situations or dealing with the young.Tender care is a genuine interest and concern coupled with a gentle approach as you tend areas in another’s life. We are charged to be tender with children because their spirits are so pliable. There is never a need to be harsh when someone looks up to you. 2. Protection…a quality often hard to navigate. As Christians we are to be involved in each other’s worlds. If we see others at risk or in harm’s way, we should intervene to see that damage is prevented. If we are in fact one body, then we are not isolated, and an injury to one is an injury to all. To protect is to prevent harm or damage from occurring. We need to know when to get involved. 3. 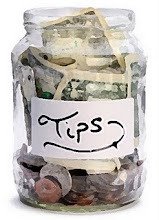 Encouragement…the most priceless gift you can give or receive. To encourage is to gift another with courage, hope, and confidence, The world is filled with those whose hearts are failing them. Encouragement is in its purest form when encouraging someone lends no benefit to you. God alone quickens life within each of us and causes it to grow. He gives seed to those He calls to sow and moisture to those who are to water. Still, others prune and harvest. Sunflowers are one of my favourite flowers. This one is the smaller variety, we 'll have the larger ones later on. Here is one saying, "Have a Sunny Day" to everyone. I had fun with the photo enhancer my friend Terry mailed me. She also introduced me into the Pilgrim Pals family for which I am so happy. This is a dish of Rasam I made today.It is a tangy spicy tomato soup from South India which you have after a meal as it helps to digest the food. You put various spices, tamarind juice and jaggery (gur-its sweet) into it.In South India they make it very hot, you can call it fire water. But my version is mild. 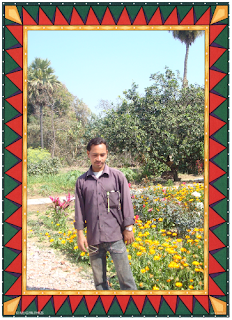 Here are pictures of Veenod, (Vinod) the boy who delivers our cooking gas on his bicycle. He lost his father.He stopped studying and started working to support his mother and younger brother whom he is sending to school. Went to see Aunt P in the evening. She was all alone on her bed with the traction on. I 'm glad I didn 't bump into her daughter and SIL as they drain me emotionally and spiritually.People from her neighbourhood came to see her. I told her next time I come I will take a towel etc and give her a sponge wash and put body lotion on her as she needs it. She asked me to pray for her. So I laid my hands on her and prayed for her and her family. Friends please pray for this poor lady, Her name is Premlata. Also pray for her daughter Shaloo and SIL Bunty.They need to be saved.Satan has blinded their eyes, they have rejected God. On the way home to stopped at a vegetable market to pick up some fresh green peas and onions. To reach the hospital I have to go on a highway I can call suicide highway as its narrow and has heavy traffic.The young rickshaw driver got a yelling from me. He was so rash I said," If you want to die please do it alone not with me on your vehicle". He was careful after that. Its one those Hab 3;17 days. I am feeling low physically and emotionally, but the fact is the God loves me and I will rejoice in that. Today my theme song could be"Stop the World and let me Down"
On Monday I went to see Aunt P in hospital.Miserable condition she is in.They had put a plaster on. Today she was put on traction for her broken hip.Daughter and SIL are such brutes...that 's a very decent way to describe them. Actually the SIL is better , he 's close to being a human, daughter is not. I encouraged the SIL to take care of Aunty and not neglect his family responsibilities.He was complaining about his wife, she is a sloppy housewife apart from other things.I agree with him. How can you counsel a person who is far from being a human being? In the nurses station I met a nurse who my Mom had taught. Sister Paul immediately recognized me and said she had seen me playing my guitar and singing in various churches (thank you Jesus). My Mom was her teacher in HS and she used to counsel her about spiritual matters. She was very warm towards me. I told her to keep an eye on Aunt P and gave her an extra hug.I talked to other people in the ward. Tried to garner their help for this poor lady.She has to be there for 2 weeks. On Monday evening we had our All City Prayer meeting.I played my guitar for worship time.It was good. We had a short Bible study from 2 Pet 1. Three young men from the US who are studying Hindi here also came.Two of them were in my BS group. My cousin brother is the co-director of the language school where they are studying. Yesterday and today I just stayed home. Have a lot to do.I have posted pictures of our flowers to give this post a cheery look. Now I 'll just go and watch some TV with my mother.I am reading Dwight Pentecost"s book "Man 's Problems and God 's answers" Its really good. I am making lots of tomato sauce. Once the jars are done I 'll show them to you. I also made mixed vegetable pickle...its spicy. After I changed into my jimjams I thought of cleaning the bathroom.Upon opening a bottle of perfumed bathroom cleaning liquid I sloshed some of it on my pyjamas. I washed it off, but I 'm still smelling like a freshly cleaned bathroom. 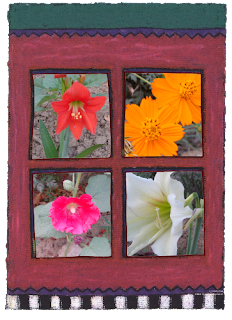 These are I photos of gladioli I took in the day and night. Very soon the sun will be too strong for flowers to survive. Church was good. Bro Sunil spoke about prayer. For the Good Friday special service 7 people have been asked to speak on the seven last words (statements) of Jesus from the cross. Each person will speak on one word for about 10 minutes. I have been asked to speak on the last one; "Father into Thy hand I commit my spirit". I have to prepare for that, keep it meaningful and short. I got a phone call telling me that Aunt P, the widow lady who is supporting her daughter and family but not being treated nicely by them, fell and fractured her leg.She is in hospital. I will go to see her tomorrow. I am feeling so sorry for her. Her daughter is so uncaring, just wants her money. I don 't know how they are treating her.If I could afford the transport etc. I could have done much more but I will do my utmost for her. Today I made mutton pilaf, which is aromatic rice with lamb. Then I made sauce with our garden tomatoes. I am making lots of sweet, sour and hot tomato sauce and bottling it. You blanch the tomatoes and remove the skin and seeds . Then cook the pulp adding lots of chopped up garlic, some salt, chilly powder, sugar, vinegar and ginger powder. Cool it and bottle it. Today we did not have electricity for about 6 hours and its not even the dead of summer yet. 1 Shortage of electricity and voltage fluctuation which affects the Internet connection. 2 Work overload as my trusted house help is no longer available. 3. The summer heat is physically draining and the room in which I have my computer is quite hot. 4 I don 't do touch typing , so I 'm slow.Suffer from eye strain too. But I 'll do my best. 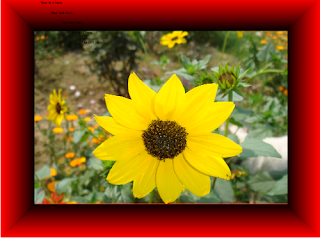 Please understand if I am slow at visiting your blogs. 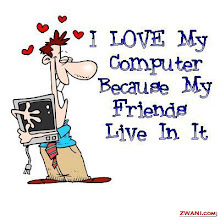 I love you all and you are very important to me and I have not forgotten you...in fact my blogging friends are a huge part of my life. I am not a fair weather friend, its just that the weather is not fair towards me. Do you have a special tradition which you follow in church for Good Friday? 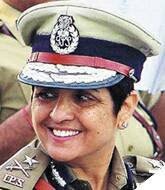 Left Kiran Bedi, the first and highest ranked woman in the Indian Police Service.she has received International Awards. Left- Indra Nooyi became the first woman CEO of Pepsi-Co in 2006.She is one of the most powerful women in the world. 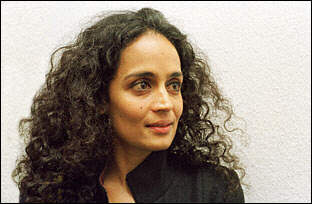 Below- Arundhati Roy won the Booker Prize for her book"The God of Small Things". I love that book. Made me cry and laugh in a single sentence. Left- Ashwaria Rai won the title of Miss World.She is an accomplished actress now. Below is a picture of girls in a rural school taken by my niece Mahima. A 13 year old girl like this can 't go to school any more as she has to take care of her blind parents.She drives a cycle rickshaw to sustain her family. These are also the daughters of India. Five years today my Papa was promoted to glory after a very brief illness.Although it was a very traumatic experience for me and I still suffer from PTSS in a mild way, I rejoice in the hope the Papa has lives in a mansion Jesus has prepared for him and is worshipping God with all the saints by the sea of crystal. 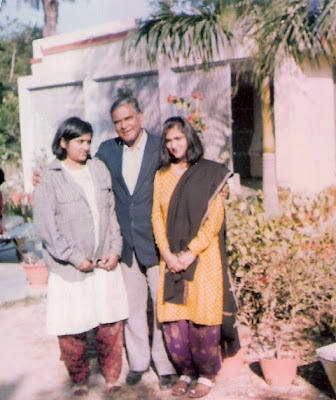 This is my Dad with me and younger sister Namrita in the 90s. Let me tell you an incident from his young days. Papa was a skillful hunter like my Grandfather (Dada).Dada was a Methodist Minister, many times posted on rural areas of pre-independant India. 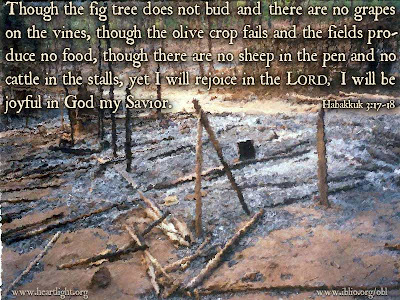 They lived a very frugal and exemplary life among their flock for which they were respected by people of all religions. One day Dada shot a bird (I 'd rather not name it). The fowl was not an endangered species but revered by the peasants.Dadi was very angry with him for killing it and de-feathered it under protest. She stuffed the feathers in a sack and asked my Dad , then a little boy to throw it far away from the village. When he returned from his errand , Dadi asked him where he disposed the cargo. Very confidently Dad said he had dumped the bag in the village well. My poor grandma hit the ceiling and sent all the men of the family to immediately go to the site and retrieve the feathers from the well before the villagers came to draw water in the morning. 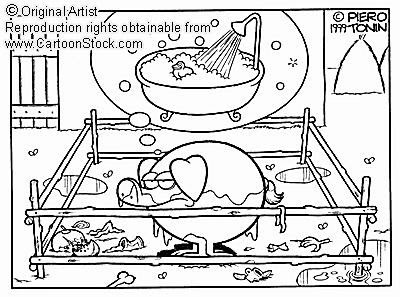 So off they went and drew water enough for a herd of elephants.Man - were they thirsty when they got back and hungry for the roasted fowl. The elders of my family used to tell us family tales as bed-time stories and we remember them well. Today a police constable came to deliver the rent of my BIL 's flat which a senior Police Officer has rented. He always chats with my Mum and touches her feet as a mark of respect.Today he said ,"Mother you are not blessing me. I need your blessing". This man is a Hindu. He has bought a piece of land but is unable to make the final payment.He said he sees some kind of pratibha or glory in mother and if she blesses him he will be able to complete his transaction. Mom gave him a blessing and he went away happy and satisfied. Jackie your Monday post is too good. 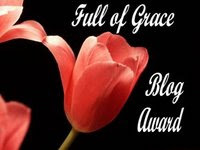 For a good dose of fun and laughter read Mother 's Pride Monday post.The link is on my side bar.